Fat. Skinny. Over weight. Underweight. Chunky. Slight. Slender. Normal. Chubby. Short. Huge. Teeny. Average. Muscular. Frumpy. Flabby. Round. Skeletal. Portly. Tubby. Stick figure. There are a lot of words we use to describe bodies. Ours, other people’s, everyone’s. And while we know that weight and Body Mass Index (BMI) can be an important piece of information when talking about someone’s overall health – those numbers are also so emotionally loaded that it can be tough to have a conversation about them without ending up with hurt feelings – no matter what our size. Many schools across the U.S. check-in yearly with kids’ BMI (Body Mass Index). 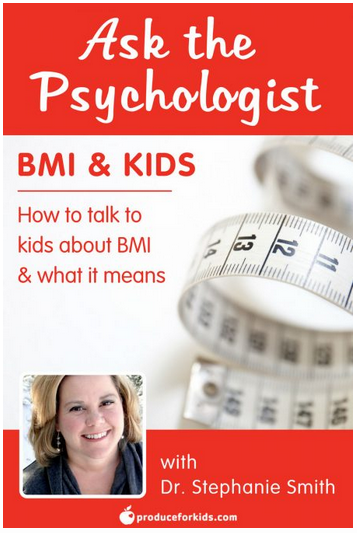 What if your child has a bigger build and is a very athletic/healthy eater but falls into the BMI alert category (of being overweight or obese) simply based on weight/height ratio. Do you have any recommendations on talking to kids about this touchy subject? Work-Life Balance in Colorado – Not as Balanced as it should be?